While perusing Pinterest, I came across a picture of the most beautiful crochet bag and I immediately knew that I would have to make it some day, maybe VERY soon, as I believe it is very autumnal! I even saw the tops of the trees beginning to turn orangey-red today ... fall will be here before I know it and I can't wait! I have some beautiful yarn that I believe would look incredible including Scheepjes Invicta and Wanderlust as well as some Stylecraft Cabaret. I love watching the colors change with variegated yarn! 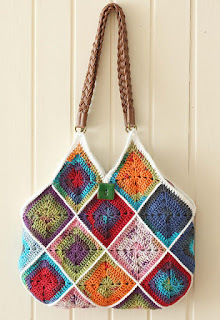 You can add the pattern to your library on Ravelry here and check out the many projects posted for yarn combo inspiration. The page of instructions can be found here and there are many pictures to help you along the way. The main version is more summery! The creator of this bag also discusses more details about the autumnal bag shown above here. Finally, there are instructions for lining the bag here. 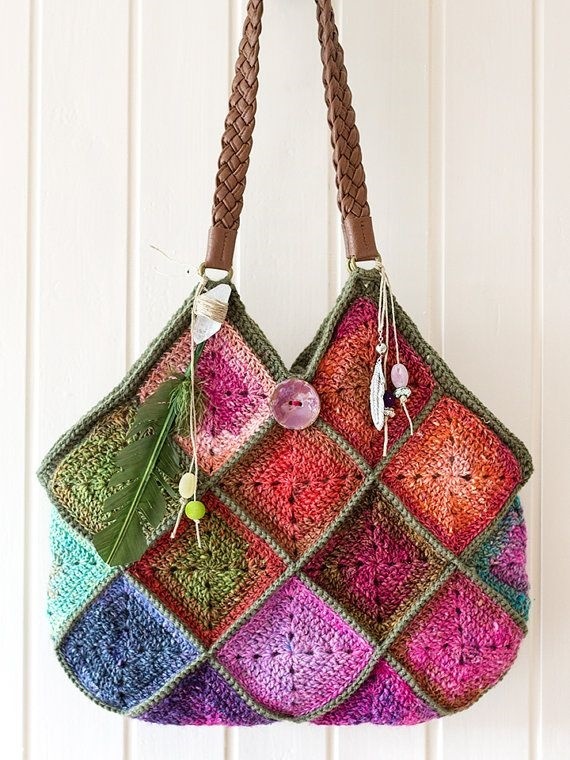 If you make this bag, I would love for you to share it with me through your Instagram!